With Thanksgiving four weeks away, we need to clear the air about something: Yes, Latinos do celebrate Thanksgiving. And we celebrate hard. Sure we do pumpkin pies, sweet potato soufflés, mashed potatoes and cranberry sauce, but we take our turkey seriously too: brining, grilling, frying or good old fashioned oven roasted birds. But then what? How many turkey sandwiches and burritos can you eat before you swear off turkey…again? 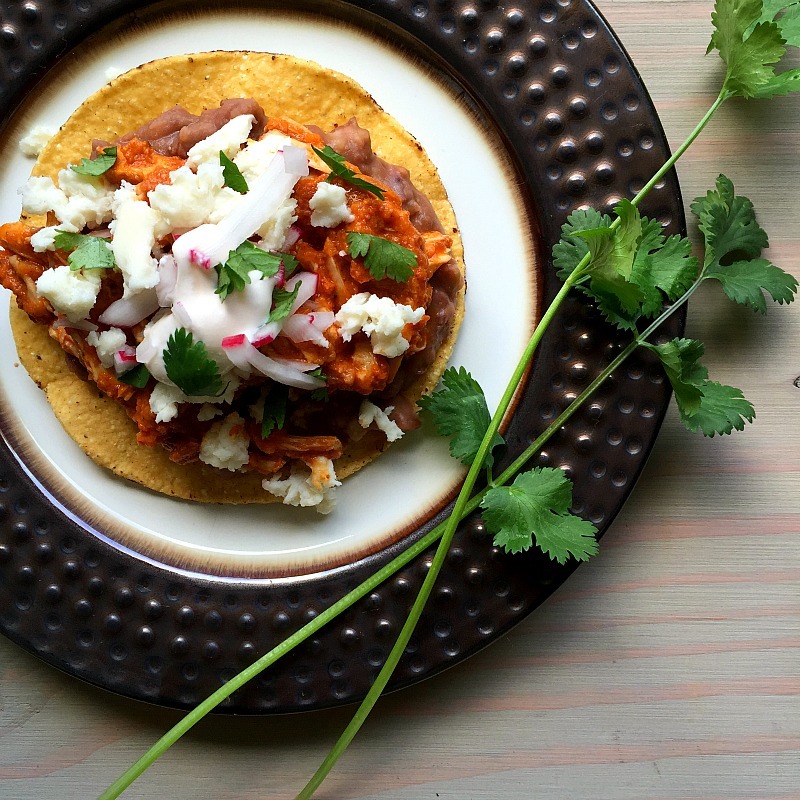 So let me share a solution to boring holiday leftovers: Tinga, or more specifically, Turkey Tinga. 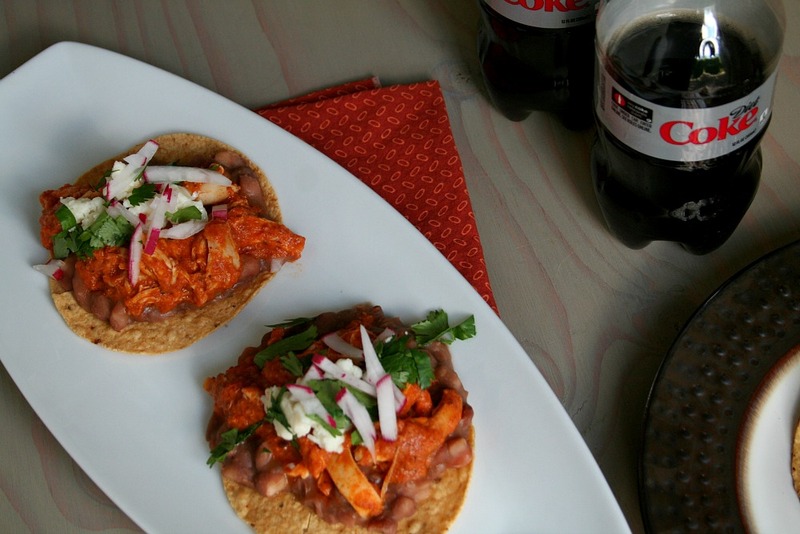 Tinga is a traditional Mexican dish that is made with a chipotle sauce. And the holidays are stressful enough, so this is a pretty easy recipe because you’re using leftover turkey from your Thanksgiving celebration and canned chipotle peppers, and in our household that means only one thing: La Morena Chipotle Peppers in Adobo Sauce. The rich, smoky flavor of a small 7 ounce can will breathe new life into limp leftovers. La Morena chiles, beans and salsas have saved many meals around here, and since they are available pretty much everywhere here in Southern California, La Morena’s cool, calm and collected gaze stares back at us every time we open up our pantry. Maybe she’s looking at my Diet Coke because she knows that’s the best way to eat tinga. In any case, I got my La Morena Chipotle Peppers at El Super because I can get my produce, fresh baked bread and my Mexican candy fix. At El Super all their sauces and salsas are together, and usually right up front because they know their audience well, and I love one-stop-shopping. Like I said, this is a simple turkey leftover solution, and all you need is one large pan and a blender for a meal that can be ready in 10 minutes. For more great recipes follow this link to traditional inspiration. And please share with us how you bring your heritage to the table duting the holidays. Maybe its chipotle cranberry sauce, or serrano mashed potatoes? Maybe you like to slide some sliced jalapenos underneath the skin of your bird? 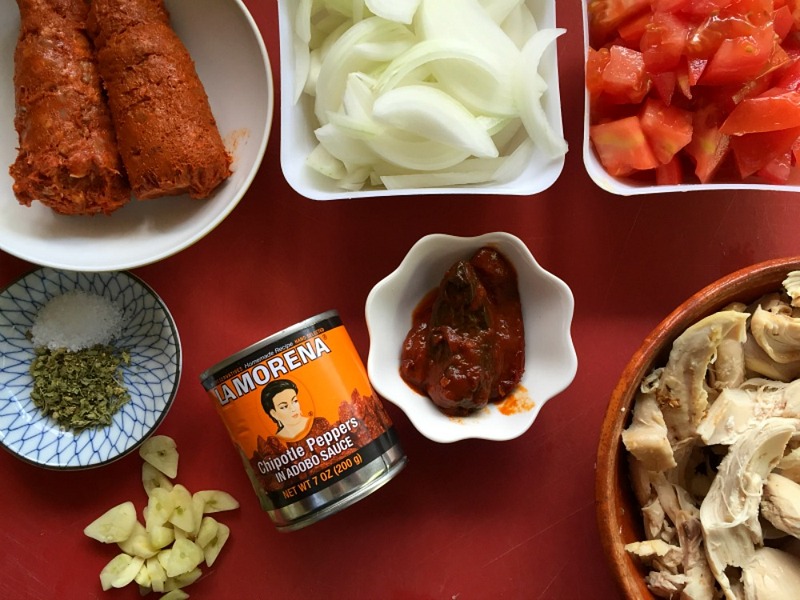 There is not “wrong way” to incorporate La Morena in your family meals. 1. Heat a large skillet over medium-high heat. Add the chorizo and onion, using a wooden spoon to break up the chorizo and onion slices. Allow to cook until the onion begins to soften, about 3 minutes. 2. Add the diced tomatoes, stirring to incorporate fully. Cook for about 3 minutes. 3. Mix in the garlic and chopped chipotles. Allow to cook until the garlic becomes fragrant, about 2 minutes. Season with oregano as salt to taste. 4. Carefully pour the mixture into a blender and puree. Add a little bit of chicken stock or water if it is too thick. Return to the pan. 5. Add the shredded turkey into the chipotle sauce. Toss to fully coat. 6. To serve: place some refried beans on the tostadas and then top with turkey tinga. Garnish with cilantro, radishes, avocado and crumbled queso fresco. Watch the video below for step-by-step instructions, but feel free to improvise. And happy holidays from our family to yours! 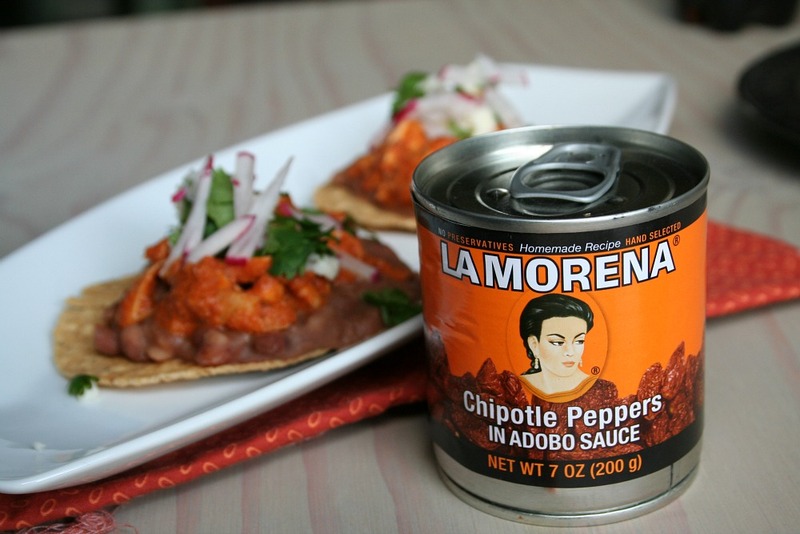 Be sure to check out more delicious La Morena recipes on their website. I’d love to hear your favorite! 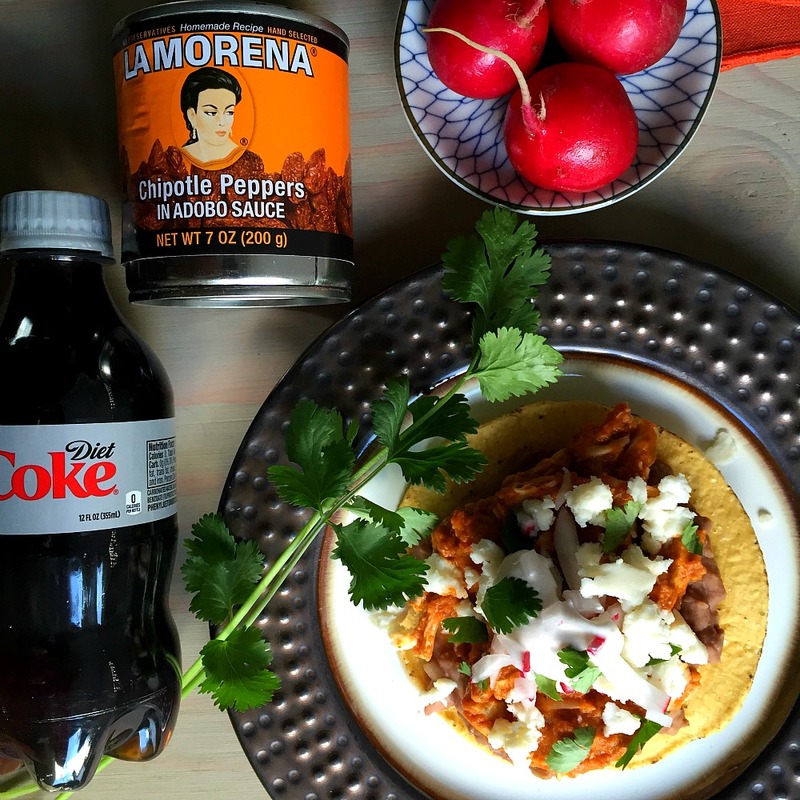 This holiday season you can search for the #MejoresRecetas hashtag to find carefully crafted recipes from LA MORENA and Coca Cola and look for specially marked displays in the stores for extra savings. Thanks Adriana, we thought we were going to have leftovers but our neighbors heard that we were making this and stopped by for an impromptu dinner party. Guess we’ll just have to make more! 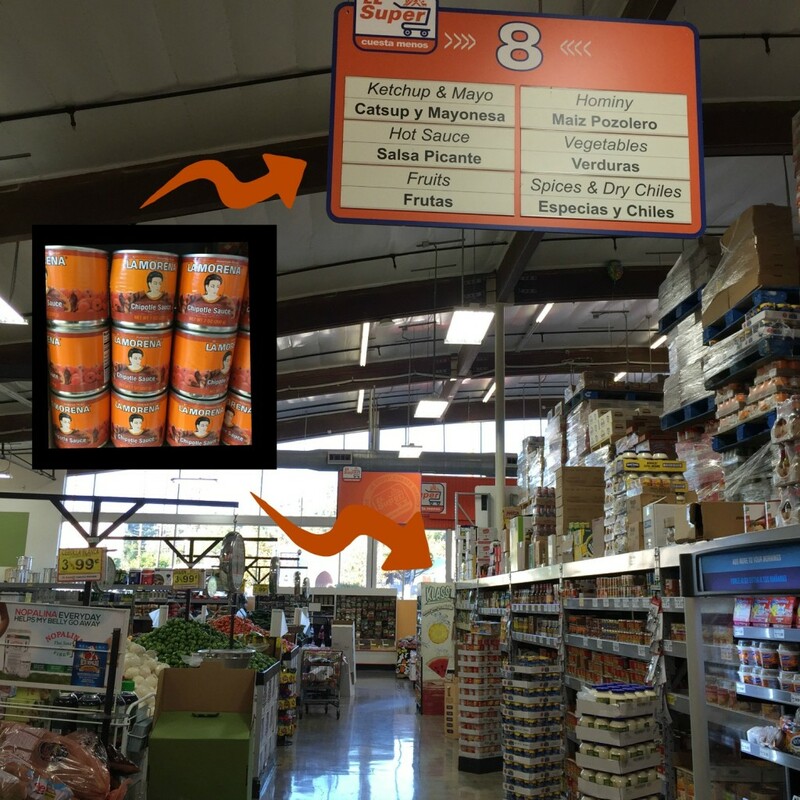 We found La Morena Chipotle Sauce too and mixed in a whole can with our frijoles and it was perfection!